Learn about the world of race organising and the challenges and obstacles often needed to overcome in the process. 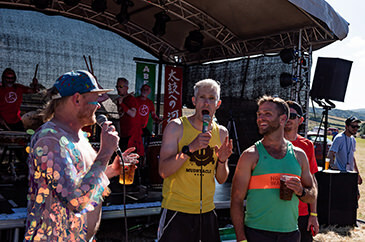 Hear what it’s really like to organise a mass participation race, from confrontations with landowners on remote islands, to the risk of adverse weather conditions which could alter the race completely, to making sure there’s enough flapjack at the finish line. 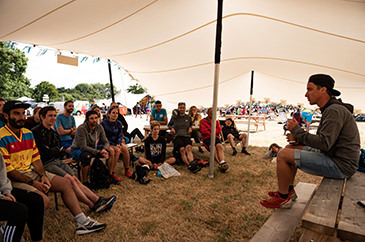 Your panellists will be Sam Heward, co-founder and Race Director of Ultra-X, Sarah Pritchard, Race Director of Ultra-Trail Faroe Islands, and Charlie Sproson, Race Director of the famous Lakes Sky Ultra and Scafel Sky Race as part of the Sky Runner Series. An insight into how you can organise your own race or event, and perhaps leave with some inspiration to launch your own!